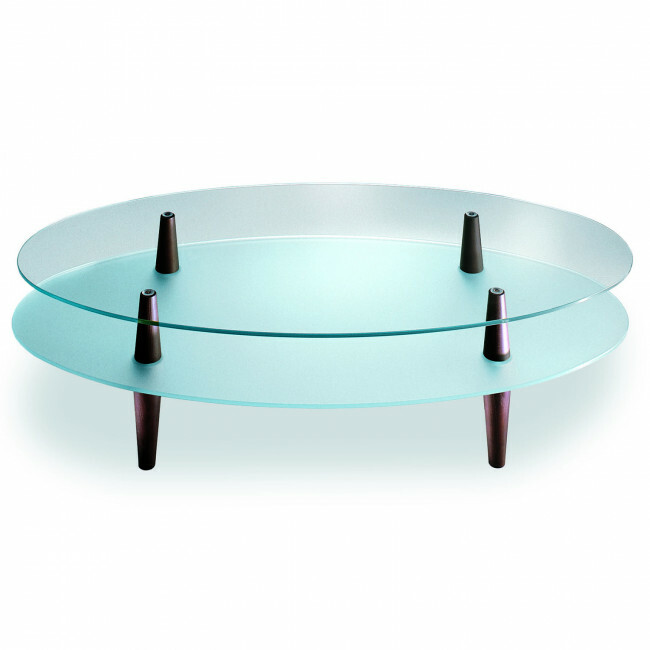 Uovo Glass is coffee table with two glass tops available in two different finishes, clear for the upper one, frosted for the lower. Four legs in coated wood with a tapered shape guarantee structural solidity as well as aesthetic lightness. The narrow height measurements and the oval shape make Uovo Glass the perfect solution in front of the sofa. Newspapers and magazines, small decorative objects and flower vases, tea cups and snacks can be placed on the coffee table ready at hand. Note: dark oak finish shown in the images is no longer available. Use the configuration menu to find out the available finishes. Uovo belongs to Maconi coffee tables collection. By visiting our shops and Partner Retailers you will receive professional assistance in creating the perfect furniture solutions for your own space.